Kimberly Hartke, Hartke Is Online! I am an attorney and an author, not a doctor. This website is intended to provide information about grassfed meat, what it is, its benefits, and how to cook it. I will also describe my own experiences from time to time. The information on this website is being provided for educational purposes. Any statements about the possible health benefits provided by any foods or diet have not been evaluated by the Food and Drug Administration and are not intended to diagnose, treat, cure, or prevent any disease. I do receive some compensation each time a copy of my book is purchased. I receive a very small amount of compensation each time somebody purchases a book from Amazon through the links on this site, as I am a member of the Amazon affiliate program. 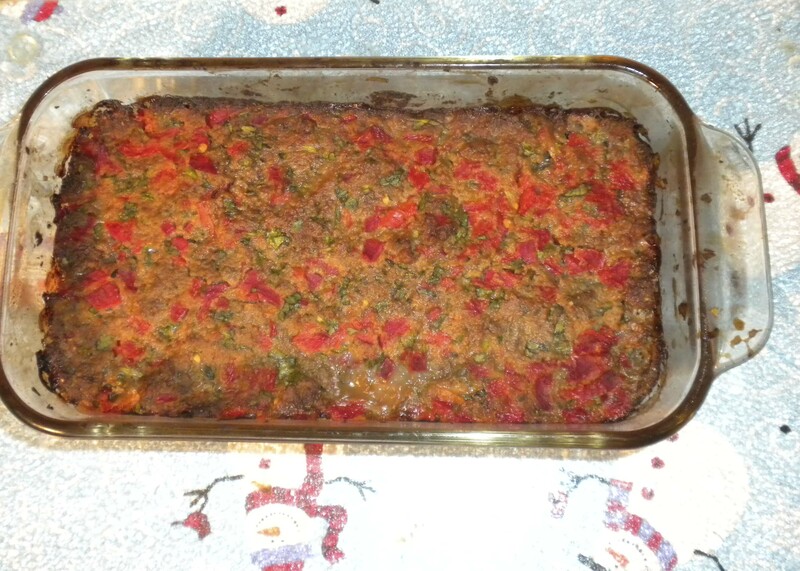 Festive Christmas grassfed liverloaf with red piquillo peppers and green organic cilantro. We think of gifts around the time of Christmas. One of the best gifts that can be given is the gift of good nutrition, and this dish is loaded with nutrients from grassfed liver, grassfed heart, and grassfed kidney. In honor of the traditional Christmas colors, it is flecked with red and green. These colors come from the nutrient-dense combination of cilantro, tomatoes, and piquillo peppers. Not only do they make a colorful meatloaf, they add valuable nutritional combinations of their own. And they add a wonderful flavor to the meatloaf. Innards such as liver, heart, and kidney are known to be full of all kinds of nutrients, including vitamins, minerals, amino acids, and others, in a form that is easily digested and used. Traditional peoples ate them to improve the health of their livers, hearts, and kidneys. Yet modern people have been reluctant to eat these nutrient-rich foods because of their taste and texture. This meatloaf makes all of these meats absolutely delicious, as well as nutritious. This recipe is based on U.S. Wellness Meats liverwurst, which is the easiest way I have found to get these wonderful organ meats into my family’s diet. U.S. Wellness Meats liverwurst is 25% grassfed beef liver, 25% grassfed beef heart, 25% grassfed beef kidney, and 25% grassfed beef. It is the only product I know which has all these vital organ meats in such an easy-to-use form. I use this great sausage as a base for many meatloafs, meatballs, and hamburgers, and it always comes out delicious. The combination of cilantro and tomatoes is very traditional in Latin America, and is believed to have many benefits, including helping the body to remove toxic metals such as mercury and aluminum from the brain and other organs. Piquillo peppers have incredible flavor, but are not hot. These small peppers are peeled, smoked over wood fires, preserved in olive oil, and placed in jars. They are available in many markets, and can be ordered over the Internet. You can substitute an organic red bell pepper, and it will still be delicious. This meatloaf shows that innards can be easy to make, and delicious, as well as decorative! In a large bowl, mix all the ingredients until they are well combined. Place the mixture in a loaf pan, preferably glass. Preheat the oven to 400 degrees Fahrenheit. Place the pan in the preheated oven and bake for 40 minutes. Admire the Christmas colors, then serve and eat them! Traditional Belgian ingredients make this pot roast special. I have had the honor and pleasure to do a guest post for my friend Raine Saunders of Agriculture Society, which is one of the very best real food blogs around. There are many excellent articles on every aspect of real food and real health. Raine is a superb writer, and the blog posts are clear and comprehensive. I highly recommend this blog. I contributed a new and unusual pot roast recipe, based on traditional Belgian ingredients. Pot roast is a wonderful food for the winter, and this one is absolutely delicious. 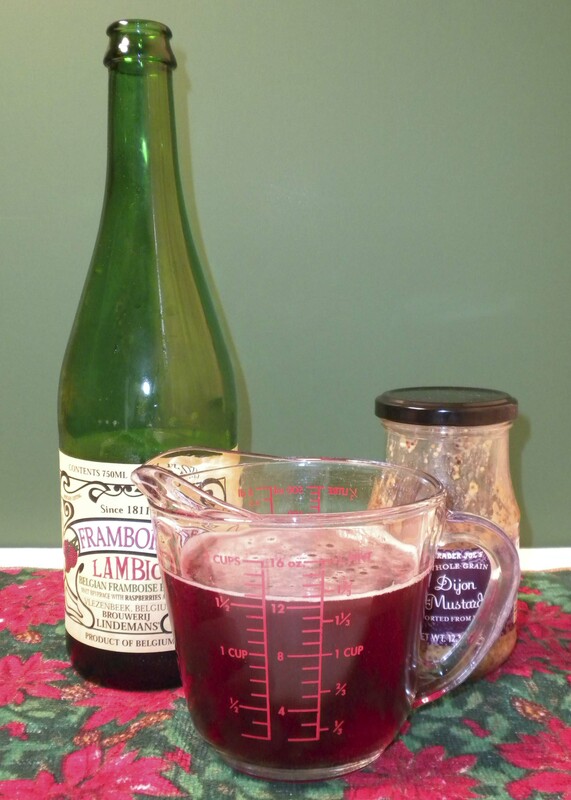 The use of raspberry lambic beer is unique, but trust me, the combination of ingredients in this recipe is both exotic and comforting, and the taste is outstanding. There is a subtle raspberry flavor that is set off perfectly with the traditional Dijon mustard to create one of the tastiest gravies ever. How to Find Steak in Pot Roast, and Save! Seven-bone pot roast cut from the chuck. One of the biggest problems people have with grassfed meat is the cost. All meat is expensive, and grassfed meat is usually more expensive than factory meat. But knowing your meat can result in paying pot roast prices for tender steaks. I do it regularly. The ordinary chuck pot roast, also known as a seven-bone pot roast, contains several different cuts of meat. Two of them make wonderfully tender and delicious steaks that you can easily cut from the pot roast. So, get ready to find steaks in that pot roast. They say a picture is worth a thousand words, and seeing is believing. 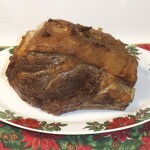 The top photo is of the typical seven bone pot roast, cut from the chuck. Can you see the tender rib steak and flat iron steak in the picture? Unless you are a butcher, probably not. But they are there. Rib steak, chuck pot roast, and flat iron steak. The second photo shows the same pot roast, cut into three pieces. The top piece, which has a bone on top, is a bone in rib steak. That is right—the meat is the same in flavor and tenderness as a rib steak that would sell for at least three times the price of the pot roast. The bone gives incredible flavor to the meat. 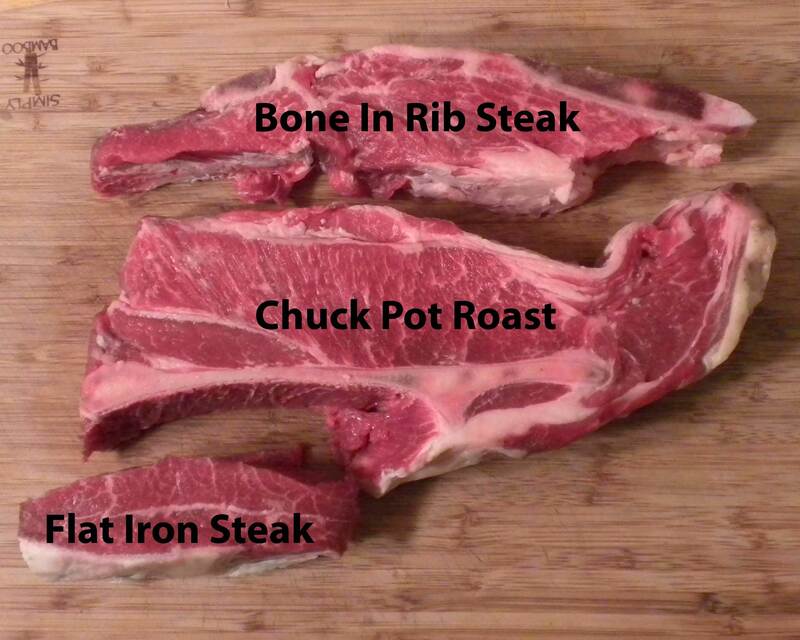 The piece of meat in the middle is the chuck pot roast, a tough cut of beef that is suitable for pot roasts or stews, not steaks. The piece of meat at the bottom, below the long bone, is the flat iron steak, a very tender and flavorful piece of meat that makes a very popular and delicious steak. Flat iron steak sells for at least twice the price of the pot roast, often more. It takes me about two minutes, or less, to separate the steaks from the pot roast. First, I look at the pot roast carefully before buying. 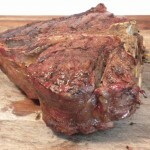 Some seven-bone pot roasts have a much larger rib steak and flat iron portion than others. It all depends on the exact area of the chuck that the roast is cut from. I select the pot roasts that have the biggest rib and flat iron portions. Fortunately, the larger rib portions and flat iron portions occur together. In other words, the bigger the rib, the bigger the flat iron. I will buy several of these pot roasts, and separate them into three parts, as shown in the second photograph. I group the same cuts together, and now have several meals of rib steak, flat iron steak, and pot roast. All for the price of pot roast. I wrap each meal size portion in natural wax paper coated with extra virgin olive oil, place it in a gallon-sized freezer storage bag, and freeze what I am not going to make in the immediate future. There is another saving you get by selecting grassfed meat. Grassfed meat has far less water in it that factory meat, and you end up with more meat and less water after cooking, as there is much less shrinkage. 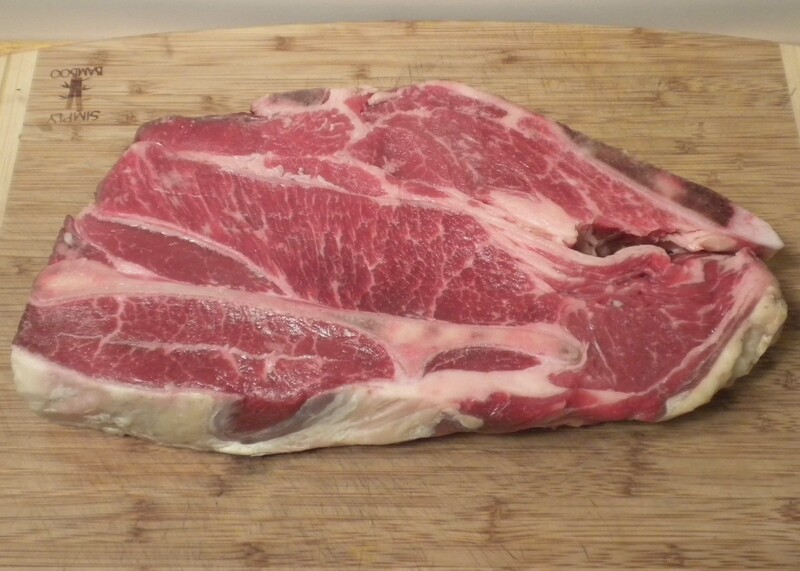 Tender Grassfed Meat has some great recipes for rib steaks and flat iron steak, as well as pot roasts. These steaks are absolutely delicious, and you can have them for the price of pot roast! This post is part of Real Food Wednesday and Fight Back Friday blog carnivals.